It can be heartbreaking to witness a loved one locked in a struggle with substance abuse and addiction, especially when you know they are in deep denial about the extent of their problem. In this situation, being an observer feels especially difficult when you know how significantly someone you care about can improve her life if she would take the first step and admit to having developed a substance dependency. For many people with the disease of addiction, denial is inextricably linked with their condition. As a bystander, it may be hard for you to understand how your loved one can continue to behave as if she doesn’t have a problem, especially when you can clearly see the toll her substance abuse is taking on her life. You want the best for your close friend or family member, and that includes wanting to help them break free of addiction and live a healthy, happy life. But it’s challenging getting through to someone who’s using heavily, especially when they deny their addiction at every turn. To understand what’s going on in your loved one’s mind, it helps to think of denial as a symptom of the disease that is addiction. No matter how rudely or irrationally she may behave as a result, her refusal to admit to having a problem doesn’t make her a bad person. 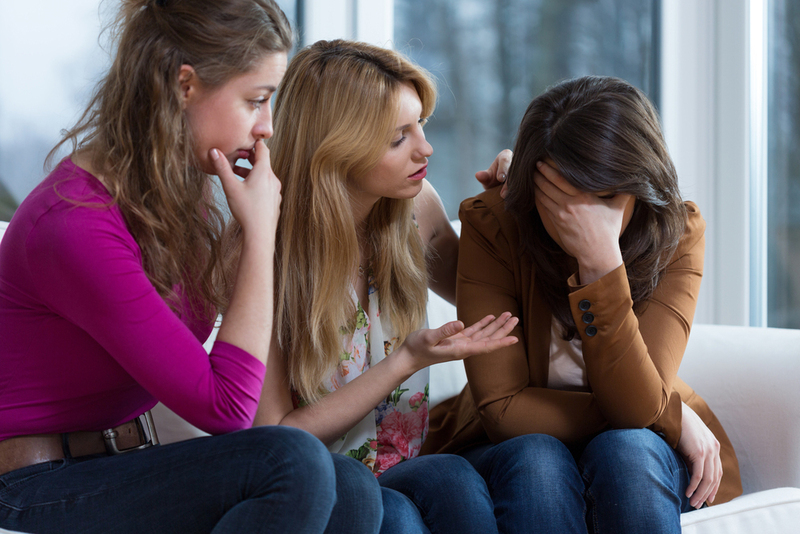 It’s never easy to bring up the topic of excessive drinking or drug use, especially with someone who is unwilling to admit to her addiction. However, there are ways you can help. First, wait for a time when your loved one is sober to start the conversation. Start by expressing your concern in a clear and honest way, without being critical. Point out specific negative consequences her drug use or drinking has had on significant aspects of her life, like her work or her ability to take care of her kids. If your loved one isn’t ready to commit to recovery, one conversation may not be enough to break through the denial and convince her to take the right steps. However, don’t get discouraged if your initial attempt doesn’t work out the way you envisioned. It may take repeated attempts to reach your loved one. Every time a new issue arises – whether it is a missed work or school day, a broken promise or a forgotten appointment – use it as an opportunity to mention that your loved one has a problem and needs to seek professional help. Canyon Crossing is a premier residential treatment facility in Prescott, AZ, for women who struggle with substance dependency issues. To learn more about our services and what makes us unique, contact us anytime.